Artistic experiences enrich students’ lives, cultivate creative and inventive thought, and provide unique opportunities for self-discovery and reflection. Through creative course work, as well as a variety of extra-curricular opportunities, our students are inspired as they actively participate in the creative process as individuals and collaborators. As a result of their experiences, USchool graduates are lifelong learners who value the Arts as a dynamic contributing force, enriching not only their own lives, but also the lives of the greater community. Lower School students begin to explore their interests in theatre and performance through the Reader’s Theatre elective option. Middle School theatre begins with a Performance Arts Survey course that introduces students to dance, theatre, and vocal music. Students in the introductory and advanced levels explore theatre performance, theatre history, and Thespians. Pantomime, improvisation, theatrical direction, character development, dramatic structure, and scene study are used help to develop concentration and focus, enabling students to make a connection with the text and other actors. They work on monologues and acting scenes from various periods in history and even focus on the “inner workings” of backstage concepts including set design and implementation. In Upper School, the focus expands to include the director’s point of view and the decision-making process of an actor. Students can examine the process of producing a play, incorporating the elements of design, performance, and direction in today’s theater while analyzing directing styles and techniques. 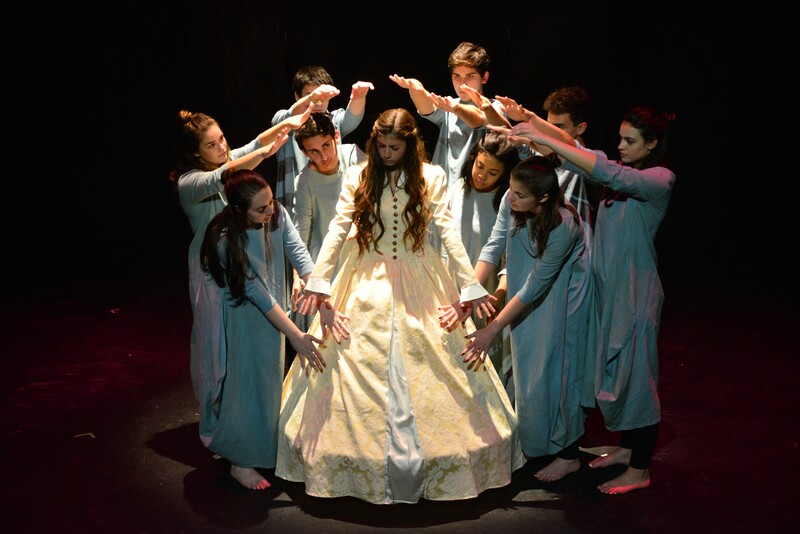 The theatre department also produces a number of annual musicals and plays, open to students in the Lower, Middle, and Upper Schools, providing opportunities for involvement on stage, in the pit, and even behind the scenes. In fact, our Middle and Upper School students also enjoy serving as mentors to our younger theatre students. The cast and crew of Tuck Everlasting received 17 Cappies Nomination and received 9 Cappie Awards at the gala — the most Cappies out of all schools that had nominees. The Upper School Thespians took home 42 Superior Awards, 2 Critics’ Choice Awards, and one Honorable Mention at the State Competition in Tampa. The Middle School Thespians took home four Superior Awards, and four Excellent Awards at the State Competition in Tampa. The Speech and Debate program teaches students about speech communication and works to enhance debating, public speaking, and interpretation skills. Students in this program also work on advanced research skills, which ultimately helps them prepare for competitions. Classroom debates will use the competitive debate model. Students are encouraged, but not required, to participate in rounds of competition outside of the classroom. The Upper School Speech and Debate team was recognized as a School of Excellence in Speech at the National Speech and Debate Tournament (top 20 in the nation). The Middle School Speech and Debate team was recognized as a School of Outstanding Excellence in Speech & Debate (top 3 in the nation). A USchool Middle School student was the first Middle School student to ever compete at the Extemporaneous Speaking Tournament of Champions at Northwestern University. Our music program offers continuous study in band, orchestral strings, guitar, and chorus. Band Ensemble provides students with large group experiences on wind and percussion instruments in a traditional concert band setting. Orchestral Strings is a performing ensemble consisting of piano, violin, viola, cello, and bass players. In small and medium ensemble settings, students develop skills through the rehearsal of classical and popular string literature. In Guitar Ensemble, students learn the entire fret board through traditional notation, tablature notation, ear-training techniques, sight-reading, and knowledge of music theory. Chorus Ensemble provides every student the opportunity to use his or her voice as a means of musical expression. In this mixed voice ensemble, students develop musicianship through sight-reading, ear-training, and part-singing. The program culminates with a Music Theory course that encompasses an in-depth study of the fundamental elements of music (pitch, rhythm, melody, harmony and form) and explores the theoretical constructs of Western tonality of the 17th, 18th, and 19th centuries. Students in all music ensembles have opportunities throughout the year to perform at school, in the community, and compete at district, regional, and state level competitions and performance assessments. Eleven Middle School Band students performed at the Florida Bandmasters Association Solo & Ensemble Music Performance Assessment and earned the highest rating of Superior. Two Upper School band students were selected to perform at the 36th Annual Frost School of Music at the University of Miami Honor Band Festival. The Upper School Choir received an Overall Superior rating at the Florida Vocal Association District XV Music Performance Assessments, and the Middle School Choir received an Overall Excellent rating. Four Upper School students were selected as Florida All-State Singers. Students develop a solid foundation in dance techniques, terminology, and theory by learning to blend choreography with music. Lower School students experiment with movement and basic choreography. Middle and Upper School dance students can work to hone their choreography and performance skills in the Dance Ensemble elective course, where they learn the various dance genres, such as ballet, modern, jazz, ethnic, and tap. Advanced students can audition for USchool's two ensemble troupes, Innovations Dance Troupe (IDT) and En Pointe, which meet after school. All students in the program perform have opportunities to perform on the AutoNation Center for the Arts main stage, whether in the annual Dance Concerts or during school performances throughout the year. In the Visual Arts program, students are exposed to four areas of visual arts – Ceramics, Drawing & Painting, Digital Photography, and Film & TV Production – in which they will explore the elements of art, the principles of design and composition, and acquire various skills in drawing, painting, and mixed media 2D and 3D design. Ceramics exposes students to the stages of hand building clay, from initial design to finished projects using slab-building techniques. In Drawing & Painting, students will be coached in the use of various tools and media, and emphasis will be placed on observational drawings. They will develop an awareness of the conceptual aspects of art, an appreciation for art history, and an understanding of the cultural and intellectual contexts in which art is made. In Digital Photography, students learn the process and creative approaches to photographic imagery, processes, and techniques. They master the functions of a digital camera and learn to edit photographs using Adobe Lightroom and Photoshop. In Film & TV Production, students learn the techniques of camera work, screenwriting, and editing. Although the primary focus is on production, students will delve into the history, technological trends, ethics of filmmaking, and impact of broadcast journalism and film on our daily lives. Student will produce news segments, public service announcements, and short narrative and documentary films. Students will also direct multi-camera recordings for theatrical, dance, and musical productions. Developing a portfolio of independent projects will be an integral part of their self-directed studies. USchool Middle and Upper School students earned a combined total of 100 regional Scholastic Art Awards. Twelve students were selected to attend Student Television Network (STN) national convention in Nashville. Four Middle School students had their artwork displayed in the U.S. Capitol for the 2018 Art in the Capitol Competition. At the Scholastic Art & Writing National Competition, USchool students took home five Gold Medal Awards, two Silver Medal Awards, and one American Vision Award (the highest honor).